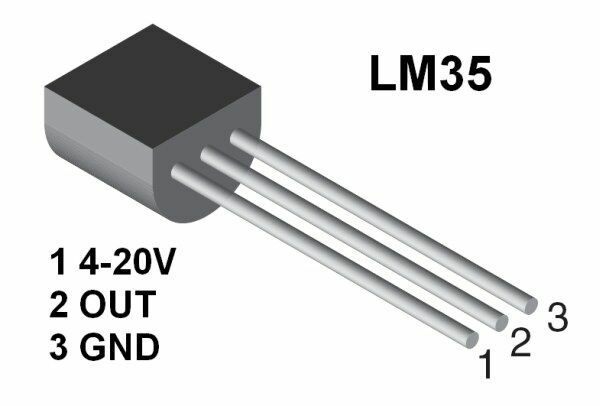 Click HERE to download LM35 datasheet. We will use ADC to read values from LM35, And display it on the lcd. Lcd is connected via I2C using PCF8574. 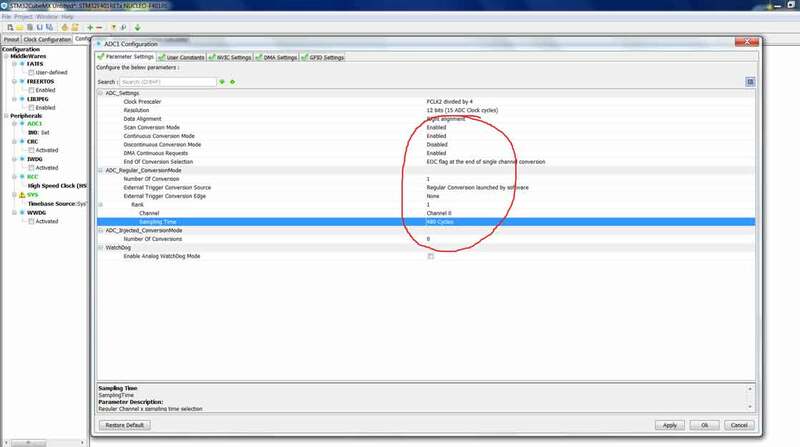 If you don’t know how to use DMA with ADC, check out this Tutorial. 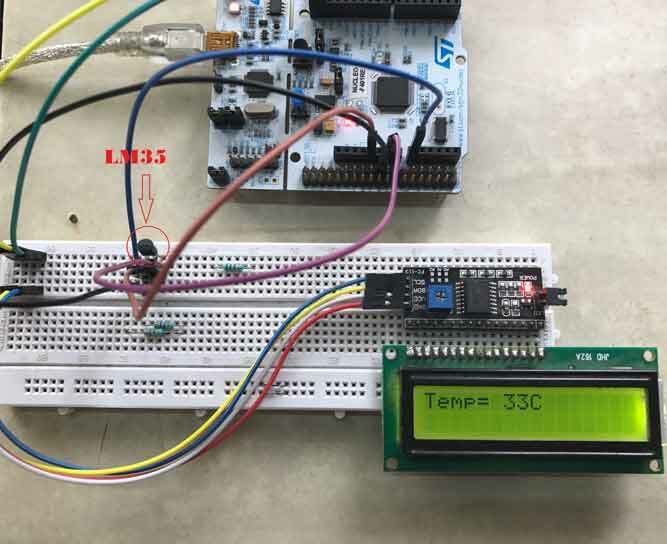 To know more about connecting LCD via I2C, go HERE. Vcc is given to pin1, and pin3 is connected to the ground. 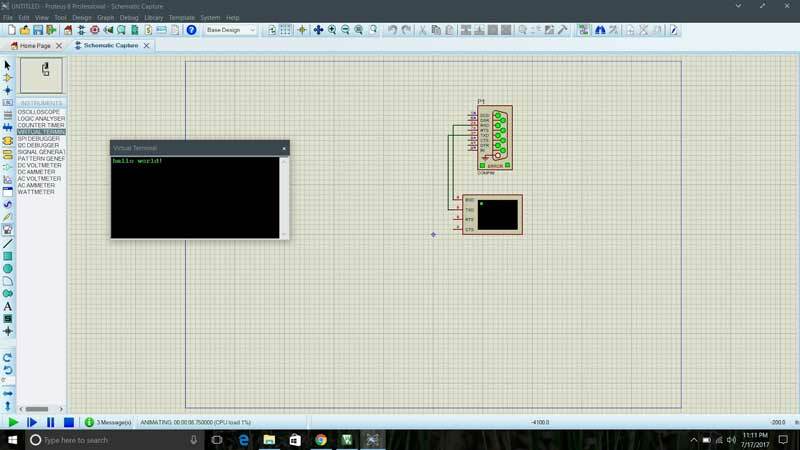 Pin2 will be the input to the ADC pin of the microcontroller. 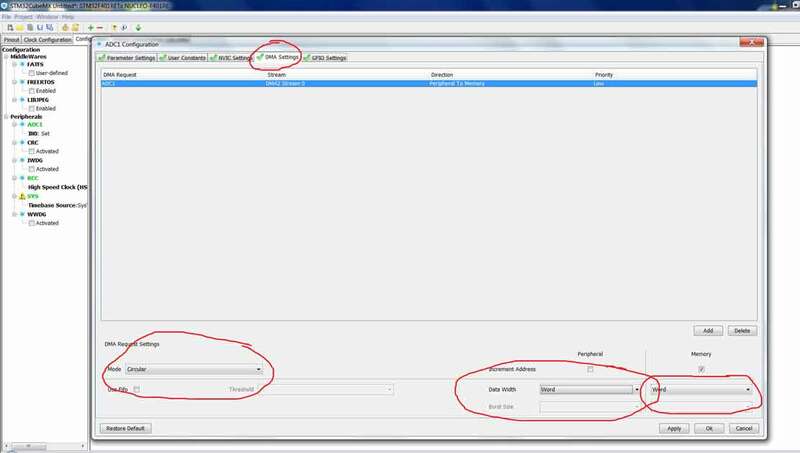 Create new project in CubeMx and select desired ADC channel. 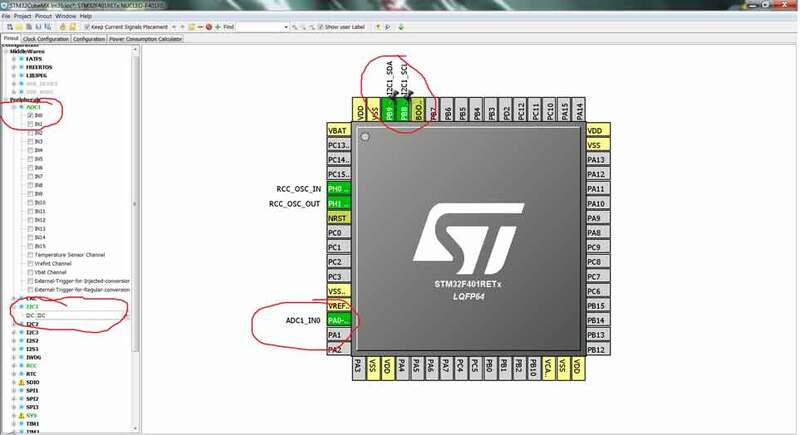 uint32_t adc_buf is the ADC buffer, where values from LM35 will be stored. int temp is the variable to store the temperature. 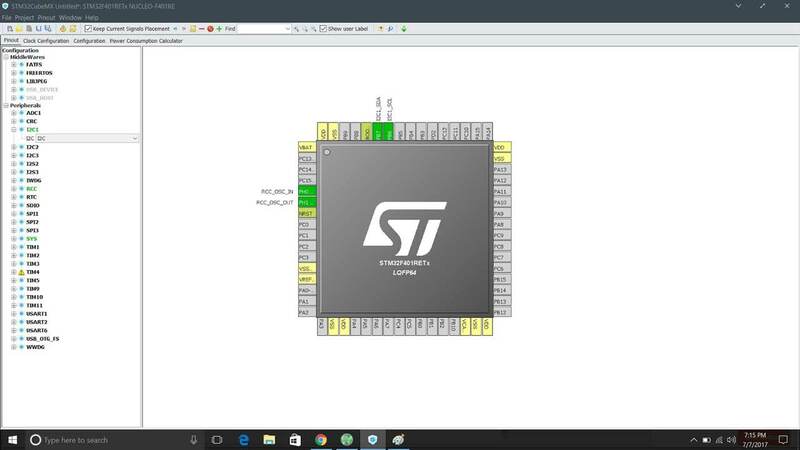 The following is the output in STMStudio. Variables observed are adc_buf and temp. As you can see below the LCD showing temperature of the surrounding. hi ..please can you tell me if this code doesn’t need an LCD library ?..or other libraries? hi ..can you please tell me if this code doesn’t need any libraries like LCD library?